Silicondust is the innovator of the HDHomeRun line of network connected TV tuners. We offer global solutions to Live TV streaming in homes, businesses, hotels, education facilities, or anywhere Live Linear TV will be streaming to multiple viewing devices within a connected network. Multi-user, multi-room, multi-device. Start watching a recording on one device, pause?and then continue watching on another, wherever you are in the house. Compatible with all your favorite smart devices (including Android, iOS and Windows10) it's HDTV that the whole family can enjoy. Cut the cable and cut your costs. No more expensive subscriptions or cable boxes. Having four tuners means that you can watch Live TV on two devices simultaneously. The CONNECT QUATRO works with our DVR service, so you can watch, pause and record. 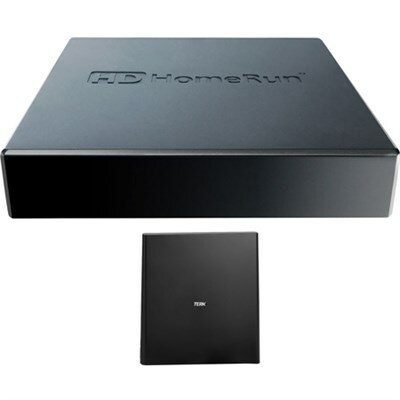 Connect more HDHomeRun tuners to your router to expand the number of channels you can watch or record simultaneously.